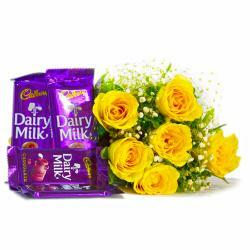 Product Consists: Bunch of 6 Yellow Roses along with 5 Bars Cadbury Dairy Milk Chocolate (Worth Rs 10/- each). 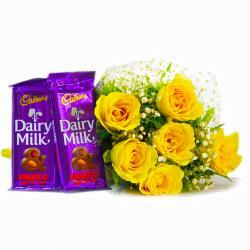 This combination of flowers containing Bunch of 6 Yellow Roses is bound to fulfill your sweet tooth cravings on her Birthday, Anniversary, Romantic, Valentines Day, Missing You. They have been bundled using cellophane paper and a matching ribbon. They are fresh fragrant and Sweetness of 5 Bars Cadbury Dairy Milk Chocolates enough to make an everlasting impression on your loved ones. 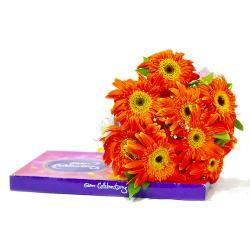 Order you gift online and get same day delivery. Thus send this hamper and bewilder your loving Indian counterpart along with other Gifts to India through Giftacrossindia.com. 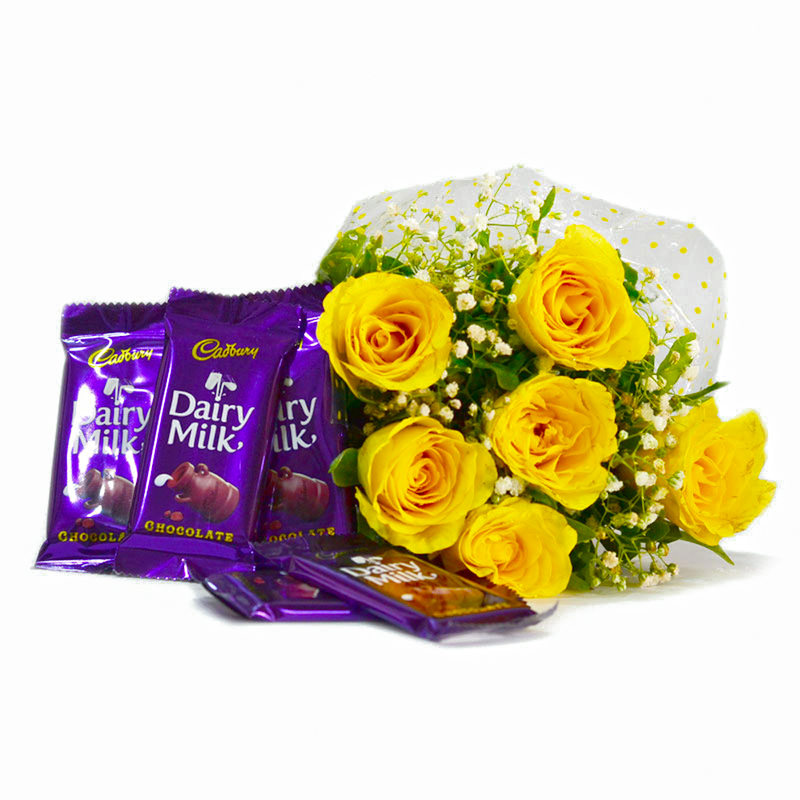 This gift hamper contains : Bunch of 6 Yellow Roses along with 5 Bars Cadbury Dairy Milk Chocolate (Worth Rs 10/- each).